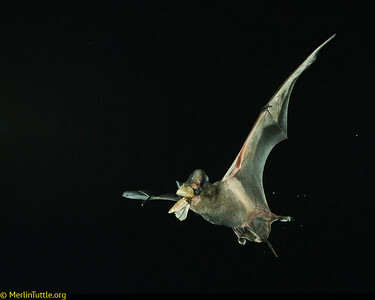 A Painted Bat in flight. 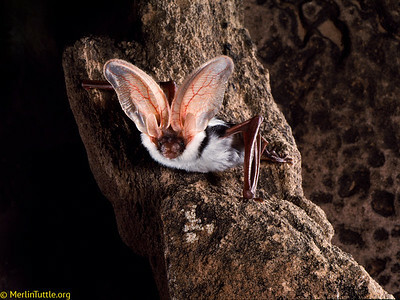 This is a rarely seen species that is widespread throughout much of Southeast Asia. 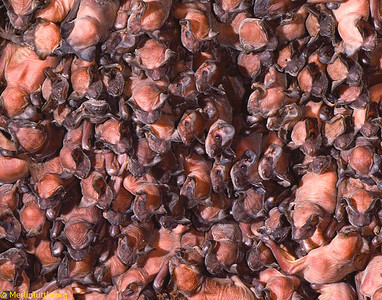 In Thailand, these bats roost in the dried tips of dying banana leaves, living in mated pairs, often with a single pup. 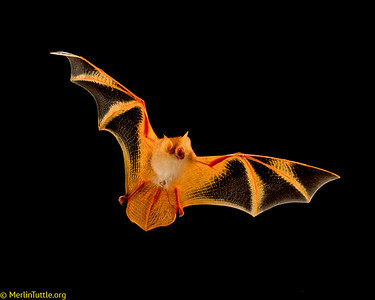 Their color blends well with the leaves in which they roost, but the purpose for the striking, butterfly-like wing pattern is unknown. 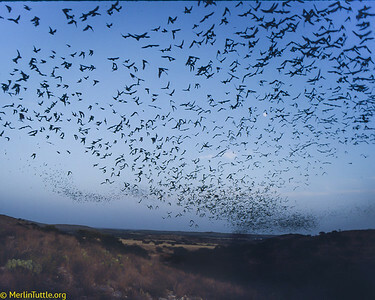 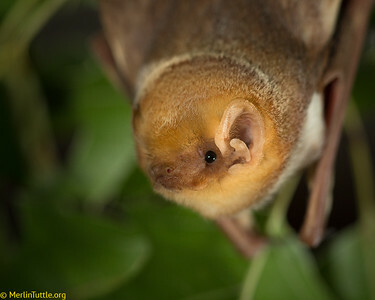 When disturbed into flying from roosts during the day, they exhibit a butterfly-like flight, hence their alternate name, Butterfly Bat. 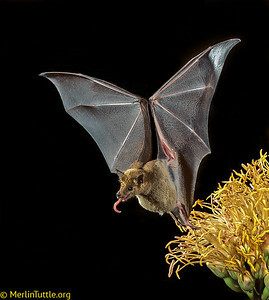 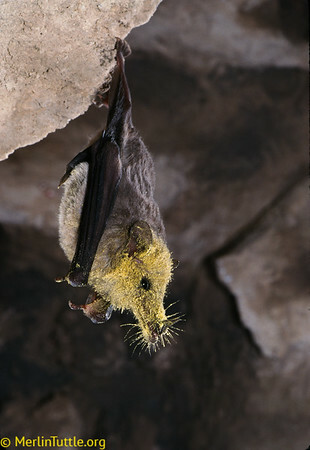 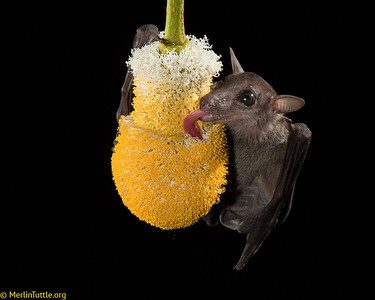 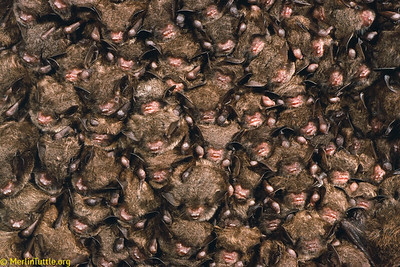 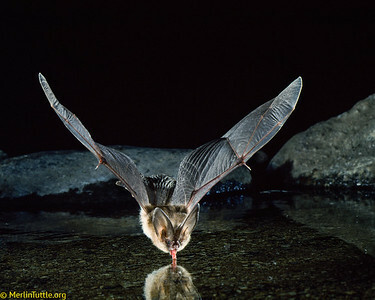 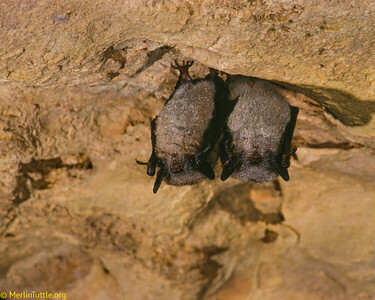 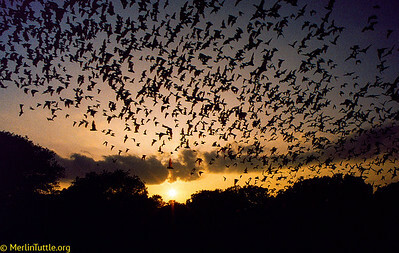 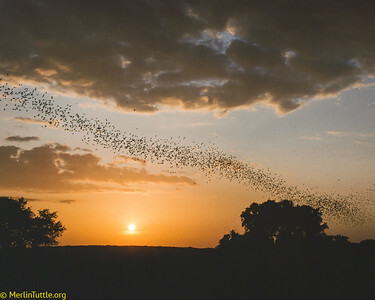 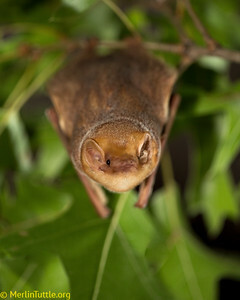 Average adult body length is about 4 cm, and weight is approximately 4.5 g. These bats feed on small, flying insects.